This post is just one of many I have devoted to the observance of gratitude. Whether it's a fleeting thought or more of a practice, it is truly one of life's easier paths to transformation - if only momentary. Sometimes a moment of positive distraction is all it takes to move on from an oppressive train of thought. 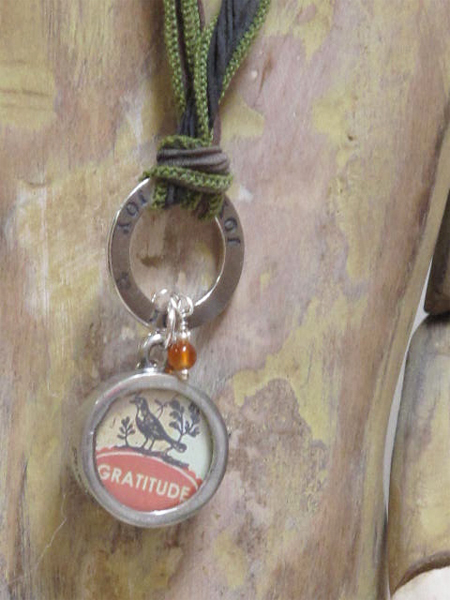 This little bauble is both a gift for a friend, and a token of gratitude for that friendship. I am of course eternally grateful to all whom I consider my friends, and that of course extends to you. If you have taken a moment from your busy day to land on my humble blogspace, then I welcome you with heartfelt thanks!